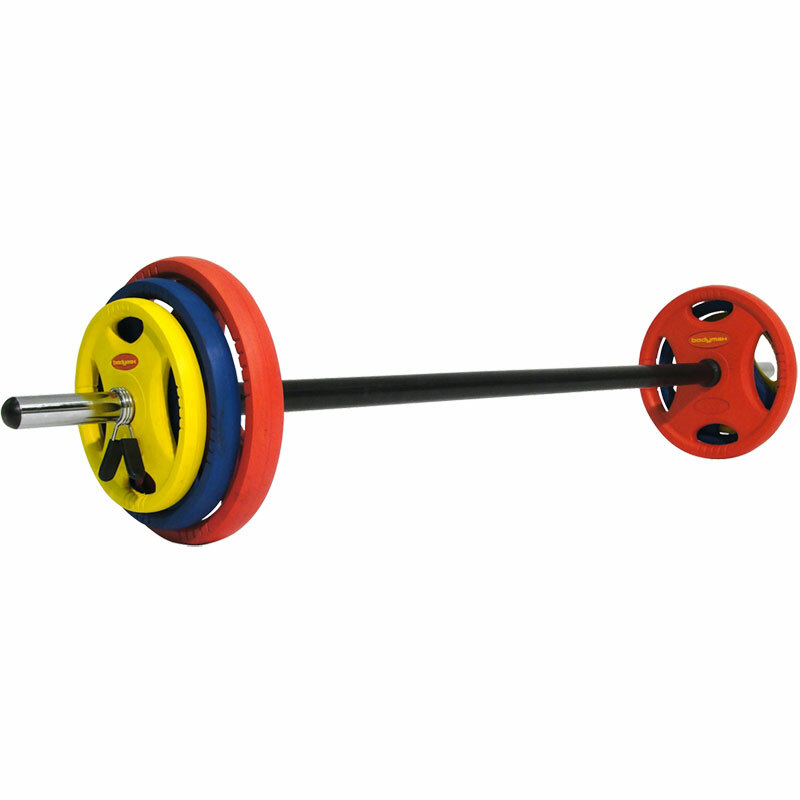 Pump up your muscles at home or at the gym with the Bodymax 20kg Vinyl Studio Barbell Set. 2 x 1.25kg vinyl discs. 2 x 2.5kg vinyl discs. 2 x 5kg vinyl discs. 1 x 60" hollow chrome barbell. Great piece of simple kit and very efficient and speedy service. In use already. Thank you, will be using Newitts again. I really like this product! Great for home gym use as no banging on the floor and the soft grip barbell is really nice to hold. Thinking of buying a second set! 5 out of 5 Excellent bit of kit!!! 5 out of 5 Yes! A high quality made barbell set ideal for it's purpose. Wife is very pleased indeed.